These durable, 4mm steel Skids offer unbeatable protection for the underside of your vehicle. Go further off-road and free yourself from worry with this easy-to-install control arm protector. 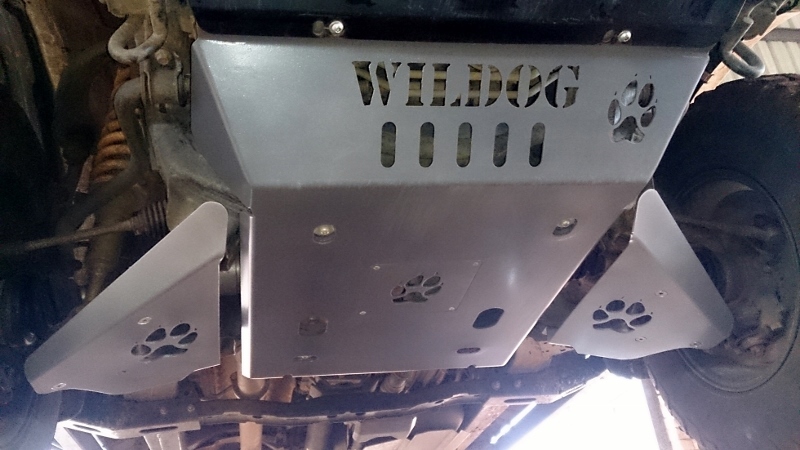 Wildog Control Arm Protectors are manufactured from 4mm Steel. Powder Coated for corrosion resistance and a professional finish to match the sophistication on a modern 4 wheel drive vehicle. Simple fitment. Recessed fixture points to protect bolt heads. CAD designed, High Definition CNC plasma cut and CNC bent parts are manufactured from a single piece of steel and are supplied with the required bushes and fasteners.